Q. My Insurance company is recommending that I take my vehicle to an auto body shop that they "work with" and even have a recommended list that they want me to choose from, can I still bring my vehicle to Lakewood Auto Body? A. You have the right to get your vehicle repaired at any auto body repair shop that you want. Insurance companies often have contracts with their own repair facilities and use this kickback agreement as a way to save themselves money. No insurance company, or their staff can make you choose a specific repair shop. This way you are free to take it to the shop that you feel will do the best repair job possible. Lakewood Auto Body! A. 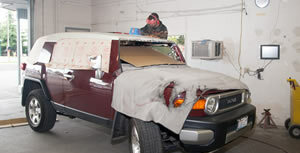 At Lakewood Auto Body we always provide you with an estimated date of completion. Each collision repair is unique and sometimes we find more damage than was originally seen after we being the tear down portion of the job, which effects the completion date. Parts and their availability can also effect when we can get your project completed. We always keep you up to date on the completion date of your project. Q. Do you offer towing service? A. Yes! The Lakewood Auto Body family has a sister company that can take care of any towing needs that you have. Give us a call and we’ll make sure to get you take care of. A. Lakewood Auto Body has always not only guaranteed 100% satisfaction on all that we do, but we also have a lifetime warrantee on every job that we do. Q. Will the paint match my existing color? A. You will be shocked at how exact the new paint of your repair will match the older paint on your car. Our computerized color matching system is cutting edge technology and when combined with over 27 years of combined experience in our paint booths, we’ll make sure your paint matches exactly! Q. 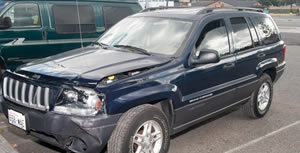 Will my vehicle be restored to its pre-loss condition? A. Yes. From start to finish, the professionals at Lakewood Auto Body work tirelessly to ensure that when you roll your car out of our repair garage that it looks better than it did before the accident. That combined with our satisfaction guarantee, ensures that you wont be disappointed!